The Straits Times gets a preview of Changi Airport's Terminal 4. Here are nine cool things to look out for when T4 opens to the public for the first time for its Open House in August. SINGAPORE - Changi Airport's Terminal 4 which opens later this year may be small - less than half the size of T3 - but it will be able to handle two-thirds the passenger traffic that the bigger facility can. This is made possible through extensive use of technology, including self-service check-ins and other passenger processes, that not only boosts overall capacity but can also yield up to 20 per cent in manpower savings. Unlike the other three terminals for example, T4 offers travellers a start-to-end automated process, from check-in to boarding. Security checks are centralised instead of being done at the boarding gates and for the first time at Changi, the new terminal will include a facial recognition system to ensure that the same traveller moves from the first to last stop. The push to be efficient is critical for Changi which competes fiercely with other airports in the region, all vying for a share of Asia's fast growing air travel market, analysts say. After T4, Changi will have to wait at least 10 to 12 years before the next major capacity injection kicks in, with the opening of T5. 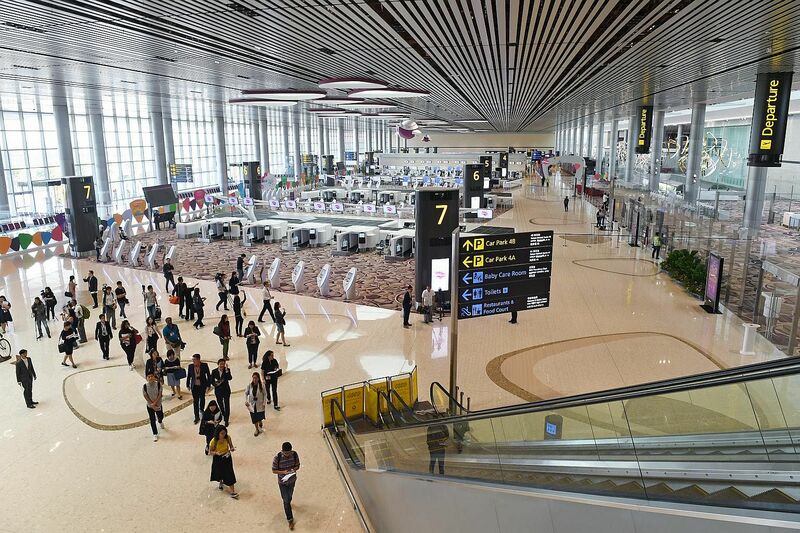 For now, the focus is on ensuring a smooth opening for the new terminal, Changi Airport Group (CAG) said, adding that the date will be fixed once flight and other tests are done. The public will get a chance to view the terminal during a two-week open house from Aug 7 to 20. All 200,000 free tickets have been snapped up, CAG added. T4, designed with high ceilings and open spaces, projects a modern, clean look and also promises to be a visual treat for travellers and visitors, it said. Highlights include a Perakanan-themed heritage zone featuring a six-minute cultural show and a 70m by 5m wall showcasing Singapore's skyline and Asean landmarks, as well as a whimsical animated clip on suitcases being screened before a flight. 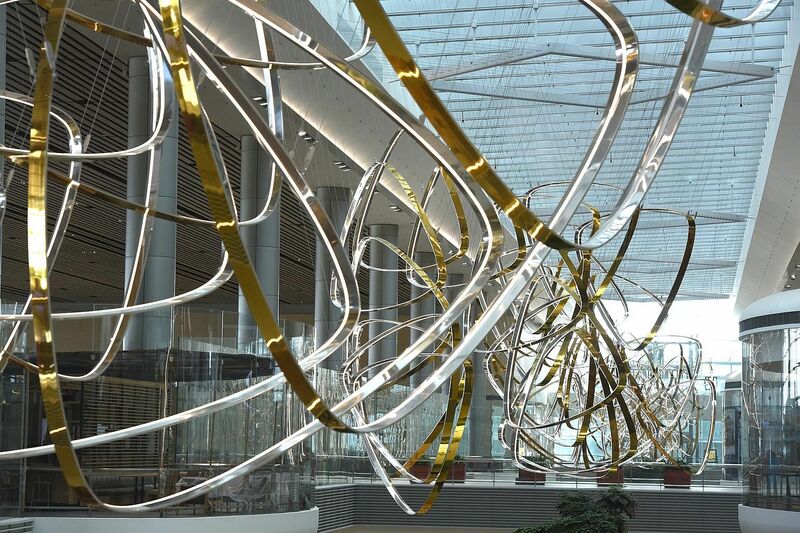 At the heart of T4 is a grand-scale kinetic sculpture, Petalclouds, spanning 200m. Combining art and technology to create a harmonic collective choreography of six identical petal clouds, the sculpture depicts clouds moving slowly through the horizon. Ms Poh Li San, vice-president of the T4 project, said during a media preview of the new terminal on Monday (July 24): "With T4, we have sought to create an enjoyable and memorable travel experience for our passengers, from the facilities and services to the environment and the visual treats within." The terminal was conceived with the vision to rethink travel and push boundaries, she said. Apart from the unique design elements, the team also sought to address capacity needs as well as to improve efficiency and manpower productivity, she said. 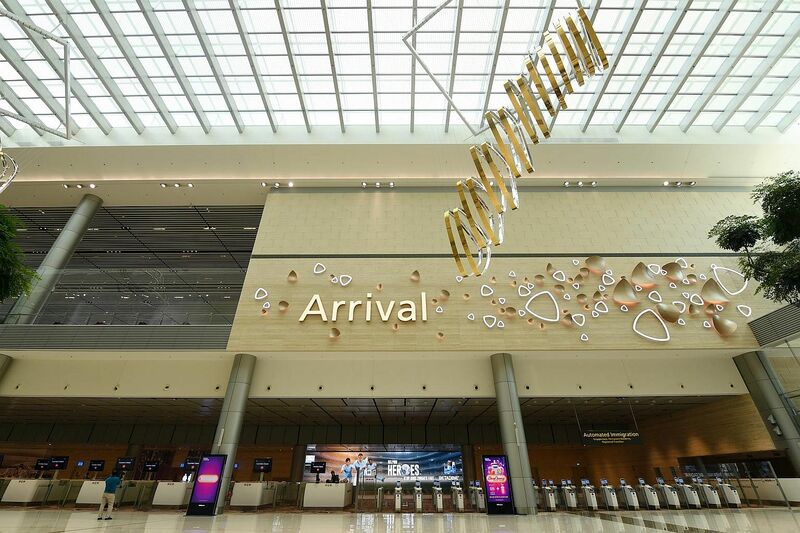 T4, which will house nine airlines, including the AirAsia group's four carriers and Cathay Pacific, will be able to handle up to 16 million passengers a year, increasing Changi's overall annual capacity to 82 million passengers. 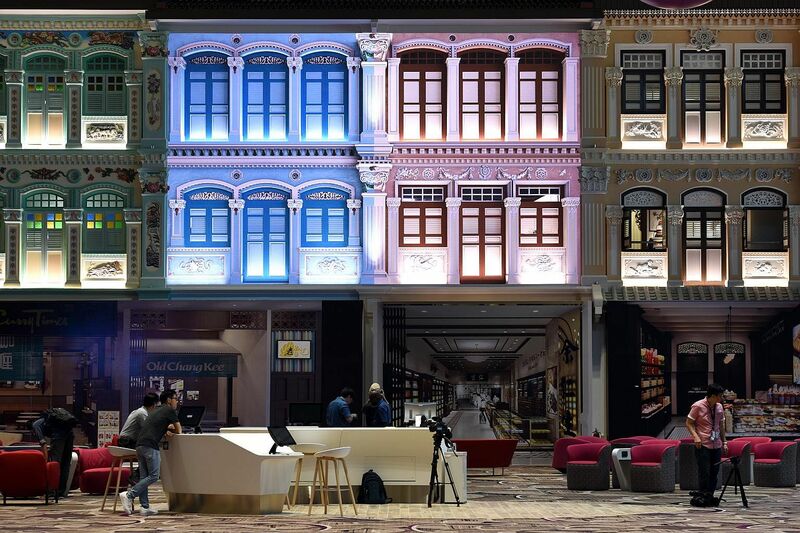 As part of the development of Jewel - Changi's new lifestyle, retail and aviation hub which opens in early 2019 - T1 is also being expanded to add additional capacity. By the time the works are done and T5 fully developed, Changi should be able to handle about 150 million passengers a year. Until then, and unless there is another growth spurt like the low-cost carrier boom about a decade ago, the opening of T4 should be enough for Changi to maintain its service and operational standards, said Mr Gary Ho, senior lecturer for aviation management and services at Temasek Polytechnic. Associate Professor Terence Fan, a transport specialist with the Singapore Management University, said that T4 will also provide "a small-scale laboratory" to test novel technologies, designs and processes that could be used in a larger scale at T5. Some of the new technology and processes at T4 are also expected to be replicated at the other three existing terminals.